It’s National Write A Novel Month (here in the US, anyway). What does that mean to me? Well, I’m trying to write a novel anyway, but now I have a support group for the month to help keep me on track. What does that mean to you? Well, a lot of people are writing. A really lot of people. In fact, people I never even knew were interested in writing are trying to write novels. faster than almost anyone else I know, and it is probably one of the hardest things I’ve ever done, every time I do it. It is a massive investment in brainpower, willpower, time, and your emotions. Writing a novel can change you… and that kind of change is a good thing. You learn a lot about yourself, like whether you really want to be an author or if you just like the idea. Even if you don’t finish, you learn about yourself and if you do… well, writing a novel is also addictive. You’re creating an entire world and (hopefully) getting other people to be caught up in that world. 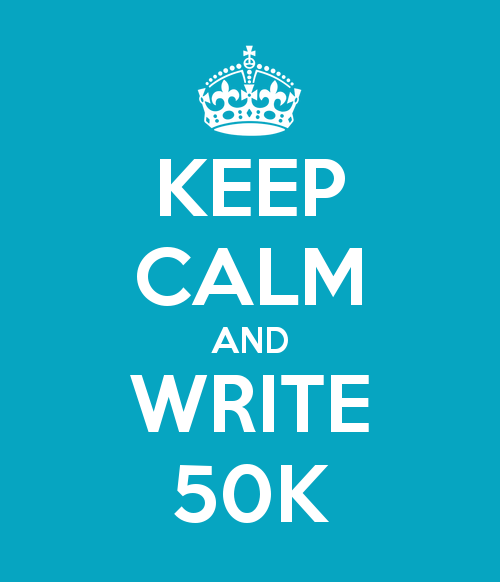 Should the only reason you write a novel be that it is November and thus, NaNoWriMo? Absolutely not. If you buckle down and write, it should be for a host of reasons including the fact that you have a great story to tell. But it is nice to have a support group. Plotting is an essential part of writing any story. There are a number of ways that people plot out their stories. The first one is what is sometimes called ‘discovery writing’ where the writer has, at most, a vague impression of where they want to end up and they just write wherever the story takes them. At the opposite end of the spectrum are the writers who rigidly outline their entire novel, and then write from that framework. Then there’s somewhere in the middle, the writers who outline a bit, but also improvise as the story takes them someplace new. There are perils and benefits for each type of writing. Outlining allows a writer to know where they’re going and focus on other things, such as characterization and description as they write. Outlining also prevents writers from writing themselves into a corner. On the other hand, writers who outline can often find their stories take on an almost mechanical procession, and sometimes this squeezes the originality and freedom out of the story. Discovery writing can allow a writer to explore whatever areas of the story and plot that they find interesting. This often leads to a very organic and flowing story, but some hazards include writing yourself into a corner or to becoming stymied when the plot takes you someplace you didn’t expect. Why is this important? As a writer, you need to understand your own writing habits. Very few people are pure discovery writer or pure outliner. Most of us are some combination of the two in varying measures. Understanding what style of writing works best for you is essential. If you’ve written off a rigid outline that details each scene and found that you just don’t have the energy to write anymore, then perhaps you should try writing in a more looser format. If you write rambling stories that don’t seem to go anywhere, perhaps you should put together a framework or spend some time outlining things you want to happen. As far as outlining goes, there are various methods that work. Some people write up a ten or twenty page outline or synopsis. Some people write up a simple one sentence summary for a chapter or scene. I’ve also seen people do up flow charts, which show character interactions and conflicts and how that leads to the final scenes. When outlining, the method of thought that works for you is the important part. Whatever method of outlining you choose, it should be one that helps you visualize the scenes you need to write. An outline, in this way, acts like a checklist and both gives you some measure of completion and a course ahead. That’s all for today’s writing post. As a side note, I’ve set my writing goal for National Write a Novel Month as 100k words. If you are a writer (or an aspiring writer), National Write a Novel Month is a great way to force yourself to write. You’ll see lots of posts online from various people about their progress. I’ll start on Friday, with the goal of finishing three novellas for the month of November. When combined with rewrites, working 60+ hours a week, and various other things, this will be interesting to say the least. I’ll post my progress each day, both total wordcount and if I’ve finished my project(s) for the day or week. I’d love to hear from other people on their progress as well.